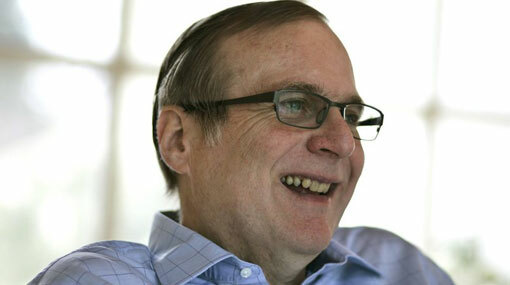 Microsoft Corp. co-founder Paul Allen, the man who persuaded school-friend Bill Gates to drop out of Harvard to start what became the world’s biggest software company, died on Monday at the age of 65, Reuters reports, citing a statement from his family. Allen died from complications of non-Hodgkin’s lymphoma, a type of cancer, the Allen family said in the statement. Allen remained loyal to the Pacific Northwest region, directing more than US$1 billion to mostly local philanthropic projects, developing Seattle’s South Lake Union tech hub that Amazon.com Inc. calls home and building the headquarters of his Allen Institute for Brain Science there. Gates described Allen as following the Microsoft partnership with a “second act” focused on strengthening communities. “I am heartbroken by the passing of one of my oldest and dearest friends,” he said in a statement. “In those days we were just goofing around, or so we thought,” Gates recalled in his 1985 book The Road Ahead. Allen left Microsoft in 1983 after falling out with Gates and his new lieutenant, Steve Ballmer, in December 1982, only months after being diagnosed with Hodgkin’s lymphoma. As he recalled in his 2011 memoir Idea Man, he overheard Gates and Ballmer secretly plotting to reduce his ownership stake. Allen held onto his share of the company. His 28 percent stake at Microsoft’s initial public offering in 1986 instantly made him a multimillionaire. Allen later called this sweeping idea the “wired world”, which has broadly come to fruition. He was not alone in predicting connected computing but was one of the most prominent. Yet Allen’s technology ventures after Microsoft, which focused on areas he thought would grow with the advent of the “wired world”, were not as successful. He lost US$8 billion in the cable television industry, chiefly with a bad bet on cable company Charter Communications, while technology ventures he bankrolled such as Metricom, SkyPix and Interval Research were costly failures. A rock ‘n’ roll aficionado, Allen had a band on call to jam with when he wanted, and spent more than US$250 million building a museum devoted to his hero, Jimi Hendrix, which morphed into a music and science fiction exhibit designed by Frank Gehry.